You know, I’ve been working at a university for 12 years, and so, when I hear the term hiatus, I think of privileged faculty or higher up administrators who are eligible to enjoy the occasional long break from employment, six months to a year, knowing that their job will be waiting for them when they return. Me, on the other hand, while I have excellent healthcare benefits and a retirement plan, as well as paid sick leave and vacation, the demands of my job and the low level of my position on campus do not allow me the opportunity for hiatus. Anything longer than a 2-week vacation is very difficult to get approval for. 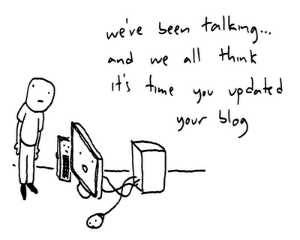 Therefore, I hereby announce that Fish & Bicycles is going on a virtual hiatus, for how long I do not know. This has been a very difficult decision to make. I’ve loved blogging. I’ve been doing it since June 2004, first at my now-defunct first blog, and here at Fish & Bicycles since October 2009. But, a number of things have added up to a gradual decline in enthusiasm and enjoyment. My life offline has become too busy, cluttered with a wide range of things both voluntary and involuntary. And, at 48 years of age, I’m finding my physical, mental, and spiritual health to be demanding more attention from me. Additionally, I find myself, more times than not, feeling obligated to post something here at Fish & Bicycles, just to keep it alive, rather than as the product of an inspiration to create for creativity’s sake. I know that maintaining a regular practice of anything requires persistence in the face of challenges, and I’ve managed to do just that for nine years of blogging. But, I just need to take a break for a while, to attend to other things in my life. I LOVE that definition of hiatus that I included at the start of this post — A gap or interruption in space, time, or continuity. It sounds so Sci-Fi, and given that I’m taking a virtual hiatus, I feel like a time traveler! Hopefully, on my “travels” I will find my muse again and I’ll return to Fish & Bicycles with renewed vigor and determination. In the meantime, I’d like to thank all of my regular readers and the many folks who have chosen to Follow Fish & Bicycles. I’ve been honored by the time people have taken to check out what I’ve been doing here. It’s been several weeks since I saw the wonderful film, The Sapphires, at Bellingham’s own art house emporium The Pickford Film Center, and I just can’t stop thinking about it. I went into the experience with few expectations. The brief description I’d read gave me the impression that it would be a fairly lightweight, feel-good, possibly a little silly movie. BUT, man, take four Australian aboriginal gals with amazing voices, introduce them to a washed-up white soul musician played by Irish comedic actor Chris O’Dowd, and then take the show to Vietnam in 1968 to entertain American troops and you’ve got one dynamic, fantastic film! As I’ve mentioned several times before (Just two examples: Post 1, Post 2), I LOVE Soul music. It has become my go-to genre when I’m burned out on nearly every other type of music, I eventually get fatigued by everything else but I can always come back to Soul music. 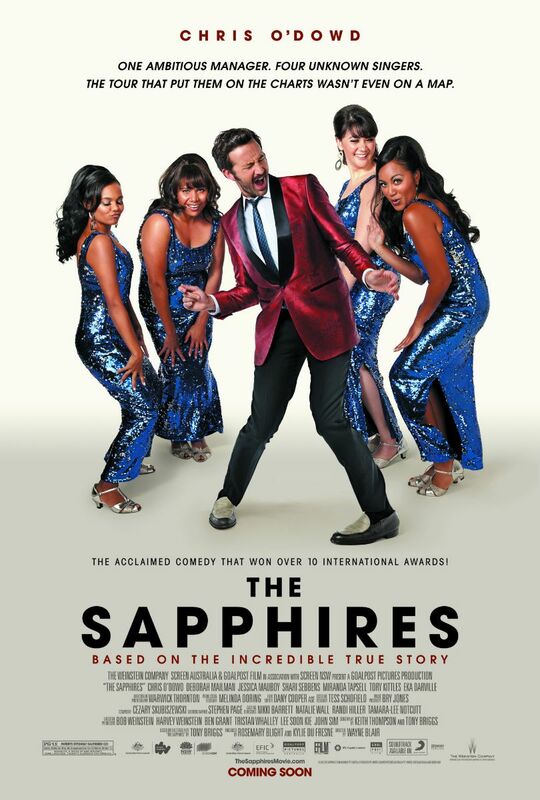 So, it’s Video Fridays, and thanks to The Sapphires, I’ve got some wonderful Soul music to share, first a clip from the film, with the gals doing the 1968 Linda Lyndell tune What A Man, then a sampling of the soundtrack in the trailer. Seriously, see this movie if you can, whether in the theatre or at home. It’s a gas! Fracking is, by now, old, terrifying news. Grassroots efforts to combat fracking have been struggling mightily and losing frequently, but when a mainstream media legend like David Letterman takes a stand on his show, watched by millions, perhaps the tide is turning. And folks, please consider clicking on the “Stop Fracking Now” graphic below and adding your name to this nationwide petition. Ok, so, that’s pretty frickin’ cute, but my son’s performance will always be a precious memory, so let’s just call it a tie.